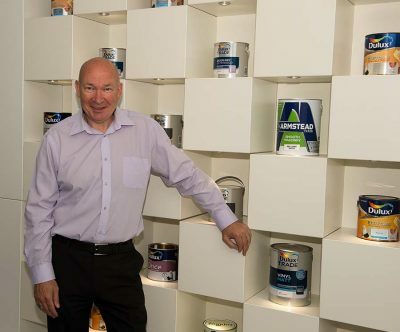 John Henderson, managing director of Dulux Decorator Centre (DDC), discusses with Professional Painter & Decorator Magazine, the next steps for expanding business. 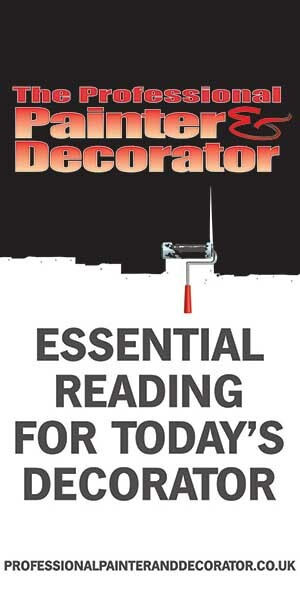 What is ‘Centred on You’ all about and how will it affect the decorator customer on a daily basis? ‘Centred on You’ is our customer proposition. We launched it a year ago and, whilst it continues to evolve, it’s three words that work for everyone. As an employer, we have created an environment where our colleagues are at the heart of the business and all business decisions are made with colleague input. As a retailer, it’s our customers who inform everything we do and the way in which we do it. We seek to form strong partnerships with our customers, adding value by truly understanding their businesses and then providing the services and products they need from us, when and where they need them, so together we can be successful. Examples of Centred on You in practice include all stores being open from 7am – 5pm, same-day delivery and Nectar reward points. We used the introduction of ‘Centred on You’ to set expectations high for our customers; if you have a problem, talk to us about it – because the more you tell us, the more we can improve. Our customers may have seen the campaign in store, on line and via radio advertising but we hope that the thing they’ve noticed most is the improvements in our ranges, our service and our online presence – all of which have been undertaken as a result of customer feedback. Explain and illustrate the range extensions in stores. 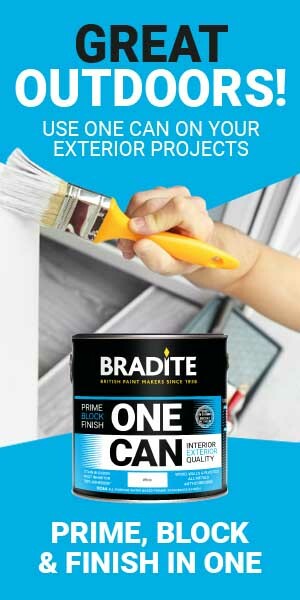 Over the past year, the business reviewed and overhauled seven categories, subsequently launching new improved ranges of specialist and problem-solving paint, exterior paint, woodcare, trim paint, workwear, and cleaning and preparation products. This was part of the introduction of ‘Centred on You’ and was about meeting the needs of our customers in-store and on line. Whilst we are an AkzoNobel business and have Dulux in our name, it’s important to demonstrate to customers that we are, first and foremost, a retailer, with ‘decorator centre’ in our name too. That means our priority is serving customers with the products and ranges they need. We have launched new ranges from leading brands such as Zinsser, Osmo, Coovar, Blackfriars, HG, Ultragrime and Dexters, supporting the range launches with market leading merchandising solutions and educational point of sale. Time is precious to painters and decorators. It’s not practical for them to drive round multiple locations to get what they need. If we can’t provide what they need when they need it, in one visit, then, quite simply, we will lose out. In total, we have launched over 400 new products to ensure our customers don’t need to shop elsewhere. Will DDC continue to expand its store network this year? If so, which areas will you concentrate on? We have an ambitious growth plan which we kick-started last year with 20 organic new store openings and 16 store acquisitions. We are looking for opportunities where we have a gap in our store portfolio. We already have over 220 stores in our nationwide network but our ambition is to be a truly national stores business with excellent coverage of the UK, which meets the needs of our customers. How do you see the relationship between on line business and in-store business developing? Does one feed the other? Online shopping is another part of ‘Centred on You’. 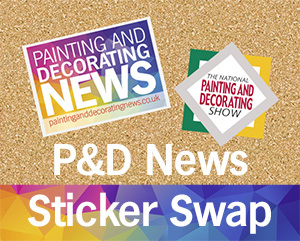 As we have developed our proposition, we have increasingly discovered that our core audience of professional painters and decorators are driving a trend for online shopping, with quick collection options a necessity. By putting customers at the centre of what we do, we listen to their needs and aim to meet them. As these requirements change, then so will our activity. It’s all about being agile to keep up with what customers want. Whilst our in-store ranges expand, we have placed a focus on how our online experience works, both independently and as part of the business. We’ve invested in improving the e-commerce experience for our customers and that’s equated to on line sales increasing year on year. We are continually increasing the range of products we sell online. Previously, in-store sale events always proved to be great footfall drivers and are now having a similar impact on line, working in tandem to increase sales. We also made it easier to shop with us by increasing the options for online epayment, including PayPal.